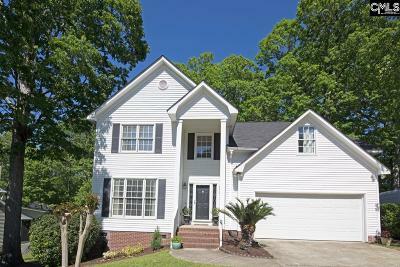 Bent Creek Plantation in Lexington SC is an established neighborhood that was developed by Centex in the mid 90s. The neighborhood contains less than 50 homes. The price range of homes are from the $175,000 to the mid $200,000 range. The construction is a mixture of all Vinyl and Vinyl/Brick Partial. The square feet of the homes range from 1900 sq ft. to 2900 sq. ft. with a few exceptions. The average lot size is from 1/4 to 1/2of an acre. Bent Creek Plantation is zoned for Lexington 1 Schools. It is zoned for Midway elementary, Lexington Middle, and River Bluff High School. Location is great with close convenience to I-20 (3.8 miles). Publix Grocery Store, Walmart, CVS Pharmacy,Target, and Kohls, are some shopping very convenient to this Neighborhood. Lake Murray Dam is only 2.6 miles away and a great walking route since the upgraded sidewalks built on Hwy 6/North Lake Drive. Bent Creek is zoned Lexington One Schools, for the following Midway Elementary, Lexington Middle, and Lexington High School. All the schools are within a 10 minute drive from Bent Creek.